More Info An antique line engraving by Remi Parr, active 1723-1750 after Jacques Rigaud, 1681-1754. Circa 1760 to 1770 with early hand colouring. Depicts a scene during the Siege of Barcelona of 1714. 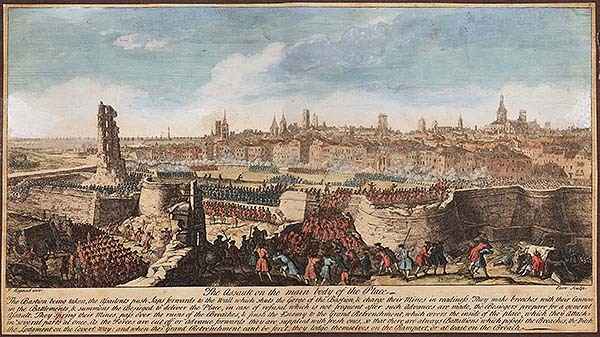 Part of a series of six engravings which represents the siege and taking of Barcelona 11th September, 1714 . Laid on card. An antique line engraving by Remi Parr, active 1723-1750 after Jacques Rigaud, 1681-1754. Circa 1760 to 1770 with early hand colouring. Depicts a scene during the Siege of Barcelona of 1714. 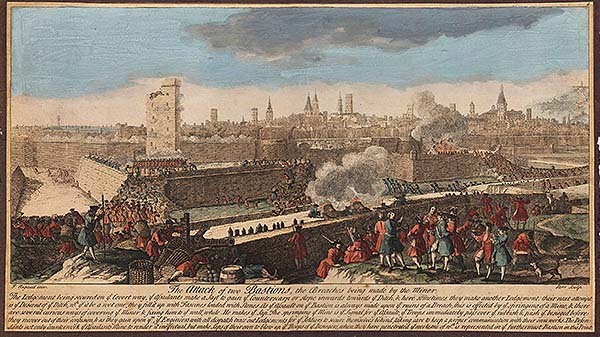 Part of a series of six engravings which represents the siege and taking of Barcelona 11th September, 1714 . Laid on card. 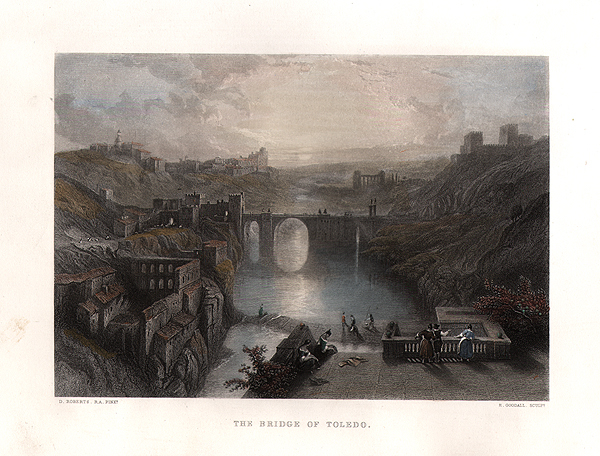 An antique line engraving by E. Goodall after D. Roberts. R.A. Circa 1860. Later coloured by hand. An antique line engraving by E. Goodall after D. Roberts. R.A. Circa 1860. Notes in Teneriffe, Canary Islands, The New Health Resort in the North Atlantic. A woodcut engraving which appeared in "The Graphic" on December, 15th, 1888. The colouring is later.